Naftali Bennett, Director-General of the Yesha Council, presents his vision for Arab-Israeli co-existence. 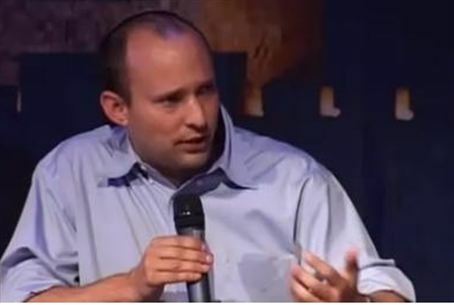 Naftali Bennett, Director-General of the Yesha Council, presented last week his solution for the Israeli-Arab conflict. Bennett, who recently announced he would step down from his position, called his solution “the imperfect, practical solution”. Bennett said that Judea and Samaria belongs to the Jews and said he is very proud of the towns in Judea and Samaria. “Ten years from now, there will be a million Jews in Judea and Samaria,” he said, adding, however, that “we’re not on an island” and that as such, some solution must be found that will allow for Jews and Arabs to live on the same land. Bennett then presented a third way to end the conflict: Israel will annex the parts of Judea and Samaria it currently controls and will give the Arabs living there with Israeli citizenship.